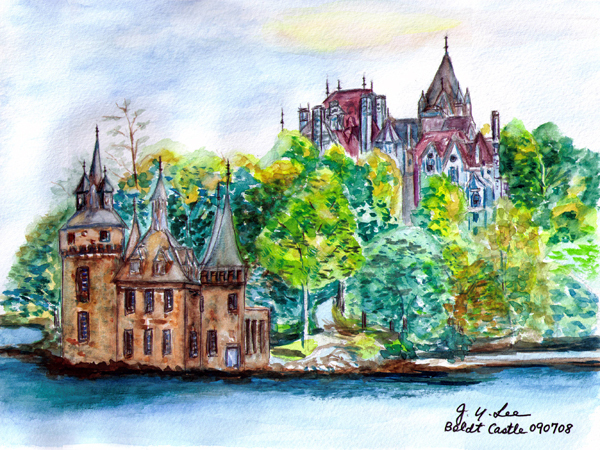 Boldt Castle was the testimony of the unsurpassed love of a man for his wife. It was supposed to be George Boldt and his wife Louise’s fantasy island. After Louise’s tragic death, George dropped all construction work and never returned to finish this mansion. When touring from the water front, I could only imagine the heartbroken George and his shattered dream of living happily thereafter with the love of his life.